Why a "Scrum for Video Game Development" Course? What areas does a Scrum for Video Game Development course cover that others don't? Plenty. Video game development has unique challenges that other industries do not. For example, death-march-crunches are harder to avoid. Mainstream app development can manage crunch by managing technical debt and scope. Video game development has more varieties of debt (art, tech, design, content production) that have to be managed differently. We cannot just cut content production for schedule reasons and ship four hours of single-player gameplay to meet a schedule. This requires a different approach. We discuss this and many other game-development-unique approaches in my interactive workshops. I invite you to bring your questions or challenges to discuss. 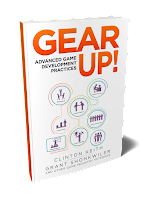 We'll share what many studios have discovered through experimentation and practices that were captured in my more recent book: Gear up! Advanced Game Development Practices. Truly Cross-functional Teams - Instead of just different areas of software engineering and testing, we cover how artists, musicians, testers and programmers work together effectively. Changing the Rules - Knowing when sprints are best or a lean flow using tools like Kanban, are best. Dealing with Crunch - It's impact on our industry and how agile can eliminate death marches. Game-oriented approaches to planning, such as story-mapping narratives. Lots of stories about culture in video game industry such as Mech Warrior and Valve's culture and how Scrum can help you build such cultures. Advanced agile techniques translated to video game development with video game examples, such as Feature Boards. Examples of where studios have struggled and stumbled with roles and how to avoid them. Leadership training from a former studio leader who grew two successful studios and techniques on growing self-organization in a leadership role. Growing studio culture away from dysfunction towards trust. Covering radical, exploratory and controversial development practices applied to game development instead of by-the-book preaching. 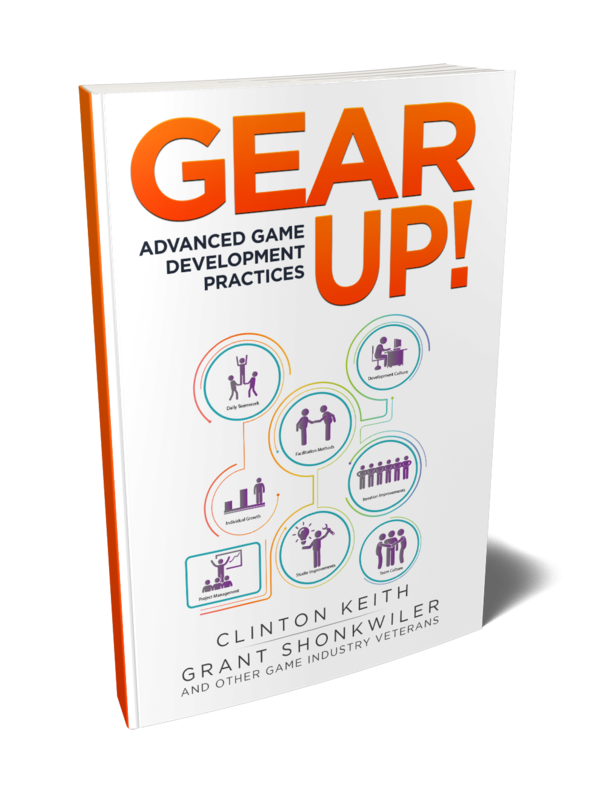 Shared experiences by the game developer who introduced agile to the video game industry, wrote the book and has worked with over 150 studios since 2008 as an independent trainer and coach. Come join the next Scrum for Video Game Development course and bring your questions and experience.